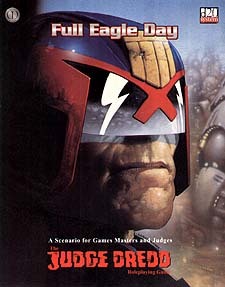 The rookie judges have completed their training at the Academy of Law and now just one thing remains before they can be given full eagle status and take their place on the streets as one of Mega-City One's finest - their final street assessment, under the review of a senior judge. Every rookie looks forward to this day as it marks the end of his training and the start of service but there is an additional complication for the players. The senior judge to be assessing them in this case, however, is a man who has only ever passed a handful of rookies in the past.